Bernie Sanders, the Independent turned Democrat, the man who many young Democrats rallied behind in large numbers, is about to drop the hammer of a lifetime on his supporters. Reports are out that Bernie will not only endorse Hillary Clinton for President, but also campaign with her. Some pundits are even speculating that Bernie might be handed the Vice President spot, if only to shore up Mrs. Clinton's voter base and bring his supporters to her side of the table. The observer can easily see that the past year has been extremely hard on Mrs. Clinton. Along the campaign trail, Sanders events dwarfed her rallies in both enthusiasm and attendance. Sanders was energizing voters while Clinton was repeating her age-old progressive talking points. Many Sanders voters, in fact, seemed to support Donald Trump and his message of no more entrenched politicians. The established political class is emerging as the enemy of all voters, both Democrat and Republican, at least that's the message Bernie was driving home. Hillary Clinton won't be prosecuted for her e-mail transgressions, yet the court of public opinion has become increasingly agitated at the way the events unfolded. She is being portrayed as someone "above the law" and voters aren't happy with it. Her numbers have been steadily dropping over the last year and she desperately needs a lifeline of some sort to divert attention away from her negatives. So, here comes Bernie to the rescue, sort of. Its been the biggest non-Hillary story inside the Democratic Party that Bernie Sander would not exit the race, even though there is no chance he could claim victory. Yes, Bernie supporters have filed multiple reports of fraud by the Clinton camp in at least 5 states. And yes, Hillary Clinton does not have enough of the votes from the statewide primaries. And yes, the Superdelegates have been in her camp since day one. The entire process for her to reach the nomination was supposed to be quite easy, yet it was just the opposite. The fix was in, and many wondered why Bernie wouldn't just concede, just go away and let Hillary get on with fighting the Republicans; even though she could still be charged with perjury, her nomination is going to happen. Bernie went on record time after time vowing vocally that he would not drop out of the race until the Convention. At least that's what his supporters thought, when in reality he wouldn't drop out unless he received some concessions. I'm sorry to be the bearer of bad news to these young Democrats who felt they actually had a candidate that had ideals. Bernie the idealist is nothing more than another wolf in sheeps clothing looking to increase his own stature. Give him something to build a personal legacy on, and he'll happily get behind whomever the Party tells him to. Major news sources are already reporting that the two camps will be coming together next week for a joint campaign event in New Hampshire, right in Bernie's backyard nonetheless. And yes, much to the dismay of many Sanders supporters, Bernie did say recently that he would vote for Mrs. Clinton. He stopped short then of endorsing her, but the writing was on the wall. Now sadly, it looks as if he will be going full establishment and carrying the party water. Despite all of the hype Sanders made while on the campaign trail about being different, when it came down to it, his own quest for power won out. Yes, to the layperson it appears that Bernie negotiated with the Clinton campaign vigorously to force her to shift her agenda to get closer to his agenda. Oh, there was also those veiled threats by the Democratic Party of punishing Bernie if he didn't ""get his supporters in line." And yes, Clinton did cherry pick the list and hand him a few small victories such as adopting his free college tuition plan, yet she did so with the caveat that is was really part of her campaign's plans all along. The Democratic Party leaders have not been shy in vocalizing their disdain over Sanders' refusal to drop out of the race and endorse Hillary. He was greeted with Boos at a recent meeting with House Democrats who are tired of his holdout. In a prepared speech, Sanders tried to hijack the Democratic Party platform by detailing areas where he’d like to see the party go further left. He specifically wanted to see documentation that the Party would oppose trade deals like the Trans Pacific Partnership and wanted a more aggressive stance on fighting Global Warming. He also made demands that a direct endorsement of a $15 federal minimum wage be added. These notions, although very polarized, do fit into the mindset of many Democrats, but when he broached the subject of greatly reducing the role the superdelegates have, he was met with staunch opposition. Bernie Sanders, the man who claimed he was for the people, was playing politics at a level that his supporters would find unacceptable. He used the endorsement as the proverbial "carrot on a string" in trying to manipulate the Democratic Party to bend to his will. They really don't care about him, just his voters. If it can be used as a crystal ball to see what will happen once Bernie goes full-Hillary, the reaction by his supporters to Elizabeth Warren endorsing Hillary should be watched closely. Just a few short weeks ago, Bernie Sanders supporters literally came unglued on social media when Elizabeth Warren endorsed Hillary Clinton. Many thought she was cozying up to Mrs. Clinton to get the Vice President nod, which seems like politics as usual. The Sander's supporters who are mostly against the establishment saw this as just another move in the big game. They felt betrayal and used by the establishment. Warren’s longstanding criticism of the increasing influence corporate America has come to exert in molding the country’s economic policies aligned her particularly well to Sanders’ position on Wall Street reforms. Hillary is the poster child of how influence is buying this nation. Warren has also been critical of Hillary's patronage of big banks and her Wall Street speeches are still looming on voters. In 2004, she had even called then-senator Clinton a “puppet” for corporate America. 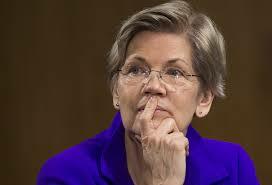 Some see her endorsement of Clinton as necessary to stop Donald Trump from claiming the Oval Office come November, but many believe that Warren has betrayed her progressive agenda by siding with someone whom they essentially see as a corrupt and warmongering political leader. Needless to say that the expectations will be worse when Bernie lines up to pay homage to the queen. 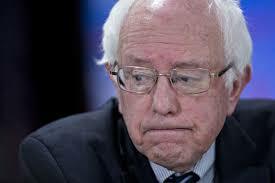 So, Bernie Sanders is about to put himself squarely in the crosshairs of the people he claimed to champion. 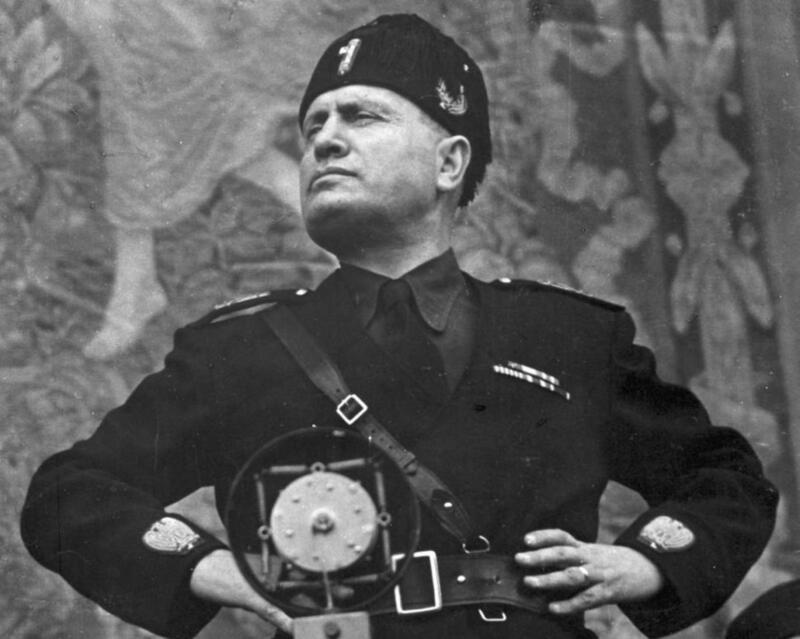 His people are about to ravenously turn against him, and with no champion left on the Democrat side, may be coerced to support Republican newcomer Donald Trump. Bernie is already being called nearly every name in the book on social media, with sellout, shill, traitor, and puppet being near the top of the list. Instead of being "one of us" in the eyes of the regular voter, Bernie is becoming "one of them." This shouldn't surprise anyone but it does. Bernie Sanders has been a politician for most of his adult life and politicians play politics, some better than others. Well Bernie, I applaud you for such a great show - no one could have seen this coming, especially those who followed your leadership from the beginning. Of course, once the actual endorsement happens, another chapter will start to write itself. Stay tuned. It's there "smash and grab" mentality - make a snark and then dart. Most must realize they will be challenged I'd think. Or maybe they think they are on a pro-liberal site where everyone pats each other on the back for their lies. Ralph, have you noticed how people on the left make comments and often when their comments invoke a reply that points out their duplicity or the nonsense of what they have just said they disappear. They'll never admit they are misguided or mistaken or just wrong and when they can't defend their opinion it appears they simply return to their little world in denial. Btw I don't know why my comment got printed twice, must have been a network glitch. Fraud in a Democrat primary? No kidding! lol If it was an election between Republicans and Democrats you yourself would be denying they commit fraud, NOW YOU HAVE YOUR PROOF. You don't think this is the first time Democrats have rigged elections to beat an opponent do you? Even someone in their own party, unbelievable! But no surprise, Hillary's entire "career" is fraud. The democrats commit fraud in every election, that's why they are against voter IDs. No matter what ludicrous spin they put on it, it's to allow them to get away with fraud. And tell me, if "Bernie has not conceded and is still going to the contested convention with his pledged delegates" how does that equate to endorsing Hillary? You are, to say the least, a little mixed up. All you democrats are mixed up, to say the least. No kidding! lol If it was an election between Republicans and Democrats you yourself would be denying they commit fraud, now you have your proof. No surprise, Hillary's entire "career" is fraud. And tell me, if "Bernie has not conceded and is still going to the contested convention with his pledged delegates" how does that equate to endorsing Hillary? You are to say the least a little mixed up. All you democrats are mixed up, to say the least. I was and still am a Bernie supporter, and I do not feel betrayed. He's doing what he believes he must to make the Democratic Party and Clinton more progressive. (Naive on his part, in my opinion, but still an honorable effort). I also do not think Bernie will be Hillary's VP. Based on what he's said in the past, I think he will try to mobilize his supporters nationwide to protest for progressive measures, both those the DNC conceded on in the platform and those they balked at, like anti-TPP and anti-fracking stances. That would be the Movement still moving on, and damn the corruption. MizB - I think Jill's platform is a bit too much for America to embrace. I just published a Hub on both her and Gary Johnson and their stances. Gary has reached 10% in some polls, so there is hope from his camp that he might be able to get the support to make the first debate. 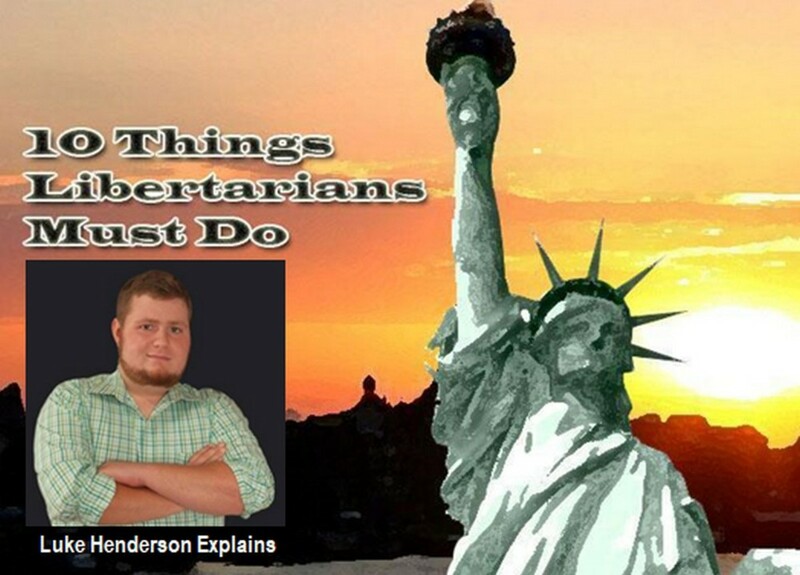 He's running as a Libertarian, although he doesn't really carry the water, so to speak of true Libertarians, Check out Jill's campaign page if you have time - she's a true Eco-Socialist who is against any type of fossil fuel energy. A lot of her views do marry up well with the Sander's supporters though. Ralph, I think it's too late for Jill Stein. She didn't take part in any of the debates (that I'm aware of and I watched most of them), and therefore, she doesn't stand a chance. I literally had to google Jill Stein to find out which party she represents. I think she will just hurt the Democrats by being in the race, but that seems to happen frequently. We shouldn't just be a two-party system, but the other parties don't get on the ballot in time to get their messages out. I know many people does not agree with Bernie endorsing Hillary but my hat off to him. He is doing what he feel is best to prevent the Republican from winning the White House. It not so much about him endorsing Hillary but trying to block the Republican from the White House. Bernie is a good man, and I understand what he has done. I just hope Hillary understand whom she has in her corner. Democrats Republicans what's the difference they are both equally corrupt just from different angles. In reading reactions across the country, I'm hearing more "I'm voting for Jill Stein" statements than I'd ever expected to. The biggest slap in the face to them is the money in politics issue. Bernie made that one of his pillars and now he's endorsing someone who is exactly the opposite. In their joint appearance, they kept their distance and their was no chemistry - indicating to me that Bernie still has some reluctance in what he was doing. 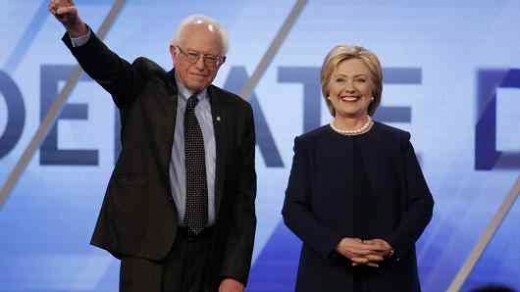 My assumption is that he feels riding her coattails is the only way to push forward his socialist platform. 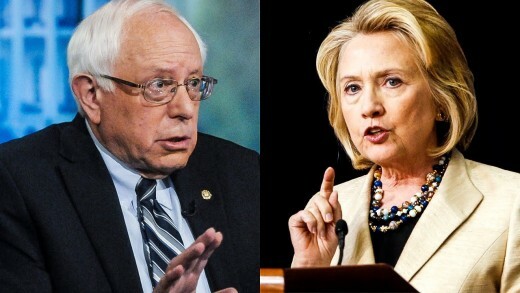 Thanks - What happens next with Bernie/Hillary on the campaign trail could be quite revealing. I think that Mrs. Clinton is going to try her best to seem more like Bernie than ever - she really needs his supporters coming into her camp. Ralph, "say goodbye" land! Sounds like Utopia for socialists and communists leaders who get richer and richer while their masses get more and more equal, equally miserable! Bernie knew from the start he was never gong to win. The way he gave Hillary a pass on so many of her flaws was the tip off that in the end he'd fall in line with the party big wigs and support one of the "most intelligent women he has ever met," his words that beg the question does that mean he has plausible deniability? He can always say after another totally stupid Hillary mistake or lie, well I said smartest women I ever met, I didn't really know her. lol or this question "has he ever met another woman?" Right from the start he said that if he lost, he would vote for Clinton. While I accepted that, voting for her did not include endorsing her and/or sharing a rally with her. He could have endorsed Jill Stein. He could also have joined her platform. It would also have been acceptable if he had said that it was necessary for the entire left to join together to vote for Clinton to defeat Trump, and there was no other reason to vote for her. He could have said that he still didn't agree with her platform, and that he was voting expediently. In assuming that his followers would be influenced by his endorsement of Hillary, he is not only objectifying his followers, but insulting their integrity. Great article man, but I've gotta disagree. If he hadn't endorsed Hillary, he would've endorsed Jill Stein which would leave his supporters split. Trump would have a way better chance of winning in the general election. 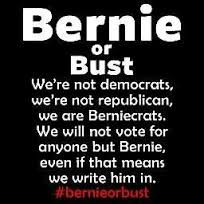 Don't get me wrong though; I am full on Bernie or bust, and I honestly would rather see Trump trash our country so we have to restructure it. Just don't be too hard on him. He's try to help the people the best he can just as he has the past 30+ years. DTMB - You'd think that with 17 candidates running, they could have coalesced around a few early on. I seriously thought Cruz was going to get that kind of support, but he's "too conservative" for some of the others, and Bush was "too Bush," and so on and so on. They'd better just pull up their bottom lips and get behind Trump for the sake of the Supreme Court, of else the nation will never recover. Say goodbye to 2AD! Say goodbye to any chance we have of saving our public school system! Say goodbye to most of your paycheck - it will be redistributed to those who don't want to work! Yep, Hillary has been true to her party, more like her party has been true to her (with the exception of dumping her for Obama in 2008). But of course birds of a feather flock together, they are all a crock of liars and users, a barrel of rotten apples. Ralph, you are so right, and had the republican party united around JUST ONE conservative (and the fact they didn't begs the question are any of them really conservatives but just give it lip service to further their own personal desires) Trump's candidacy would have died on the vine of aspirations. I think the GOP has no way around separating themselves from Trump. Unfortunately it's their own poor performance that created an opening for Trump. By not doing what they've campaigned on, they've betrayed their base - who are finally fed up. I expect Bernie supporters to stay home, which is a shame because this betrayal may keep them from ever participating in the electoral process ever again. DTMB is probably correct about the millenials. Here we had a bunch of gimme-gimmes supporting an ineffective senator, Sir Promise-a-Lot, whom savy people know could never deliver. I've never trusted candidates who switch parties just to get on the ballot, and I've seen very few of them win. The thing you can say about Hillary is that she has been true to her party, no matter what else you think about her. Do you think the Repubs will dump Trump at the convention? DTMB - You nailed it with the Democratic Party giving their "people" the high hard one. What I am interested to see if how this group of people (Sanders supporters) are going to react because they are anything but "Party First" people. If all they want to achieve is a relief from establishment politics then some will defect to Trump. My guess is that many of them will stay home. Either way, Hillary winds up on the short end. You are absolutely correct Jack - He should have hammered her without remorse. Strange how hindsight was a tell for him - it's like he never expected to win and planned all along to support Hillary, thus he never went after her hard - didn't want to burn the bridges. Hey, the Democrat party has stuck it to every one of their constituents at one time or another. Obama has done nothing for blacks in any way. He's promoting racism and division at every turn. He had a democrat congress his first 2 years and did nothing on immigration when he probably could have had signed and passed some sort of amnesty. A big F U to Blacks and Hispanics. So why would anyone, especially Bernie's supporters, expect the Democrat party to treat Bernie or them any differently? And the fact that Hillary may consider Bernie as VP simply tells you just how desperate the Democrat Party is to win this election. They can't afford any of Bernie's supporters to cross over and/or not vote because they've been disenfranchised! They know when it comes time to pull the lever voting for Hillary is just fundamentally too distasteful to thinking human beings especially Democrats with a mind of there own which are most likely in the Bernie camp. Bernie's critical mistake was made in the 1st debate. He gave Hillary a pass on the email scandal. Now it is too late. He should apologize to all his young supporters for taking them on a wild ride that leads to no where.